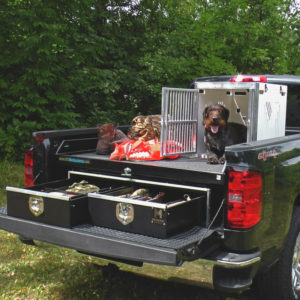 MobileStrong’s truck bed drawers are ultra durable, maintenance free, and environmentally friendly. 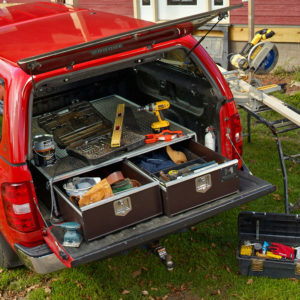 These secure truck box drawers give you the ability to lock and weatherproof your gear without sacrificing the accessibility of your truck bed/box. 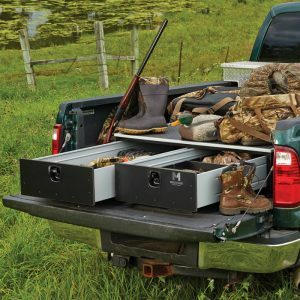 Designed to fit pickup trucks with at least a 5’ bed, our durable truck systems feature secure sliding drawers, compression T-locks, removable carpeted drawer liners, and spring-loaded D-ring tie downs. The MS5 Waterfowl Edition model features 2 slide out drawers and is 5′ in length. Designed to fit: Pickup truck with at least a 5 ft. bed. The MS6 Waterfowl Edition model features 2 slide out drawers and is 6′ in length. Designed to fit: Pickup truck with at least a 6 ft. bed. The weather resistant HDP model features 2 slide out drawers and is available in 5ft and 6ft lengths . The weather resistant HDP model features 2 slide out drawers, sits over the wheel well and is 59.5″ in length. 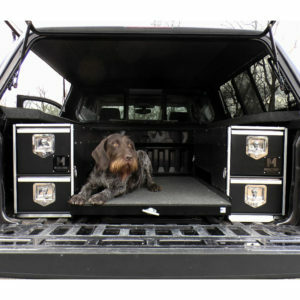 This weather resistant HDP slide out drawer sits over the wheel well.